MONDAY, Oct. 26, 2015 (HealthDay News) -- A cancer diagnosis exacts an enormous toll on a person's health, and new research says it can also devastate a patient's ability to continue working and maintain financial stability. During the years following a new cancer diagnosis, the chances someone will remain gainfully employed drops nearly 10 percent, the study found. The research also revealed that cancer led to a loss of roughly five weeks of paid work. "We've always known that cancer takes a huge financial hit," said study lead author Anna Zajacova, an associate professor of sociology at the University of Wyoming, in Laramie. "But the studies that have looked at this tended to be small, and estimates of how serious the problem is have been all over the place. "So we looked at the world's best and most precise source on nationally representative economic information," she said. "And what we found is that while some economic outcomes do eventually recover over time, for cancer survivors the loss of their individual earnings drops 30, 35, even 40 percent, and doesn't come back. So the financial fallout is big." Zajacova and her colleagues discuss their findings in the Oct. 26 online edition of Cancer. The study investigators reviewed survey responses from about 17,000 men and women between 1999 and 2009, before expansion of health insurance coverage under the Affordable Care Act. Of these, more than 1,100 had been diagnosed with cancer after 1990, the study said. Survey information included employment status, total number of hours worked, total patient income and total family income. In the first year after diagnosis the total number of hours a cancer patient worked dropped by 200 a year, compared to people without cancer. Three years following a diagnosis, those with cancer also saw their chances of having a job at all drop by 9 percent, the study found. This dip in job prospects appeared to reverse itself by the fourth and fifth years out. Similarly, an overall drop of 20 percent in total family income two to three years following diagnosis also largely reversed itself by the fourth and fifth years, the research revealed. But annual earnings dropped 40 percent among cancer survivors, and those earnings stayed low in the fourth and fifth years after diagnosis, the study said. The team also found that economic losses associated with a cancer diagnosis were greater among male cancer survivors. So what exactly explains cancer's economic tsunami? "It would be wonderful if we could understand what's driving this data, but unfortunately there are many reasons cancer affects income, and I would be a little hesitant to draw conclusions," said Zajacova. "Some patients may have had to quit jobs, some may have changed jobs, and some may have gone back to school," she said. "And some may have chosen early retirement in response to cancer. There also might be divorces going on, and people moving in with relatives. Or a rearranging of priorities. "But I would say that cancer, unlike other chronic illnesses, is unique in that it's a sudden health shock," Zajacova added. "There is no gradual descent, as you might see with diabetes or heart disease. It hits hard, and the impact on income can come fast." Anna Howard, a policy development principal with the American Cancer Society Cancer Action Network, said the study's findings come as no surprise. 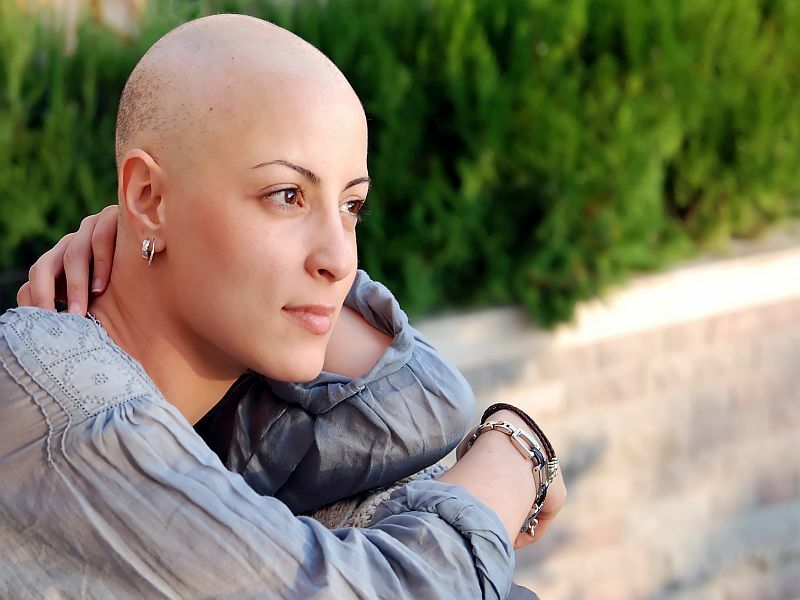 "We know that individuals with cancer have to deal not only with the medical and physical components of their cancer journey, but also the economic realities of their treatment decisions," she said. On a positive note, both Howard and Zajacova suggested that the Affordable Care Act's expansion of insurance coverage is likely a step in the right direction in terms of providing patients and their families with a measure of economic stability.